Lithuania's major online media outlets on Tuesday signed an agreement to work with the defence ministry as they try to fend off a growing barrage of cyber attacks, largely blamed on Russia. Fears are increasing over possible meddling in elections next year in the Baltic EU and NATO state, where hackers have planted fake news stories on media organisations' websites, or crashed them altogether. Warning that cyberattacks can sow "great chaos in society and in the state", Defence Minister Raimundas Karoblis said Tuesday that the state felt compelled to cooperate with the media to combat the attacks. Under the agreement media groups will share information and strategies with government, while press representatives will be able to attend meetings of the National Cyber Security Council. Lithuania's defence ministry has said attacks are becoming "more and more coordinated, complex and refined", while intelligence services say most of the hostile cyber activity can be traced back to Russia. The national intelligence agency warned in March that "Russian hackers will likely use cyber tools to influence the upcoming elections in Lithuania in 2019", referring to upcoming presidential, local and European ballots. Lithuanian online media outlets have crashed on numerous occasions in recent years after being subject to so-called distributed denial of service, or DDoS, attacks. Last year hackers posted a fake news story on the site of the Baltic News Service (BNS) newswire alleging that a group of US troops in Latvia had been exposed to mustard gas. Hackers also planted a fake news story about Karoblis coming out as being gay on the Tv3.lt news website earlier this year. 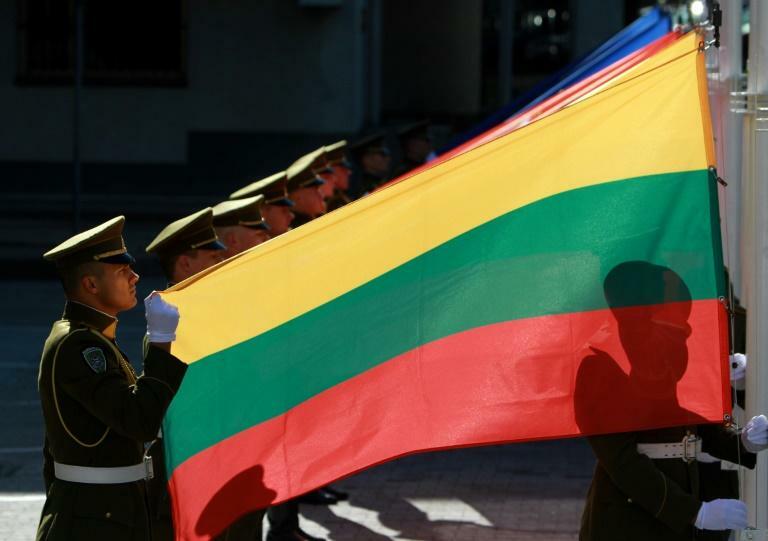 Moscow has long objected to Lithuania's drive to join western institutions after it became the first republic to break free from the crumbling Soviet Union in 1990.